It's official… you can make anything look like a masterpiece! Gorgeous, just gorgeous. Happy New Year my friend! Your right, I added a few dozen recipes to The List today. This cake has me drooling. Oh my, it looks delicious! This looks so good! I can't believe I still have never made monkey bread. This must change. You are so clever!!! this looks simply DELICIOUS!!! You had me at boozy glaze. That looks so good it's almost sinful. Absolutely gorgeous! This looks beautiful! And delicious too!!! Never made it but something tells me it shall be done!!! 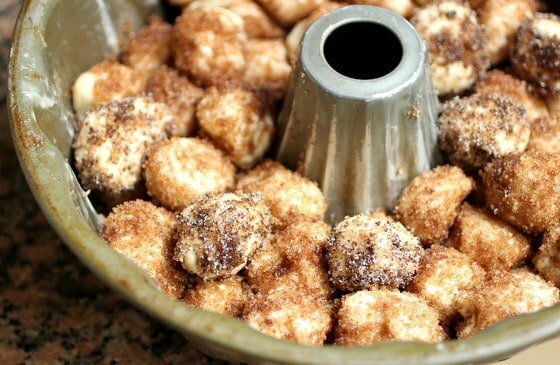 We love Monkey Bread and it is so easy to make into a million different flavors. We mostly make sweet but I keep seeing savory versions that are on our bucket list. You make me want to go out and get the ingredients now! Looks amazing! 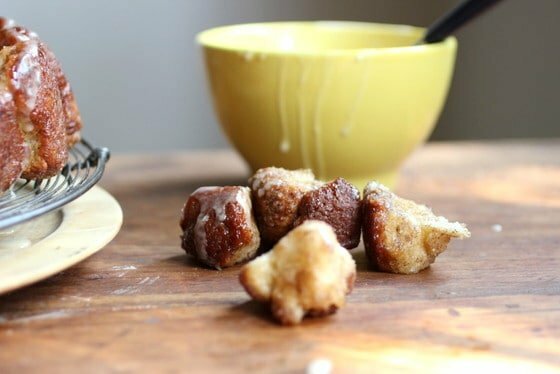 You had me at boozy glaze. Let's be real. I TOTALLY know what you mean about The List, Paula. I always add an item that I just HAVE to make and then as soon as I've made it, instead of celebrating the accomplishment I turn immediately to the next recipe that HAS to be made. It's a relentless, unending cycle but as food bloggers, that is our lot in life! 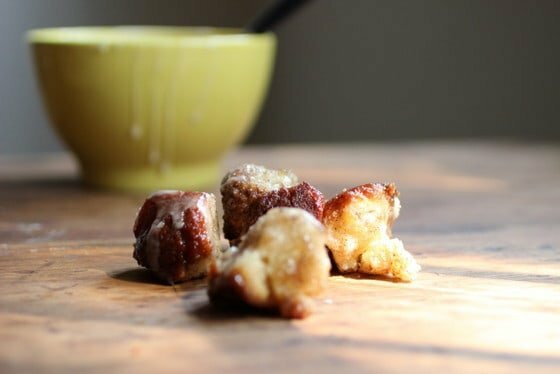 I ADORE monkey bread – I mean, what's not to love? Yours looks soooooo incredibly delicious. I wish I were there to help you eat it. I love your pictures, Paula! This recipe was a total success! 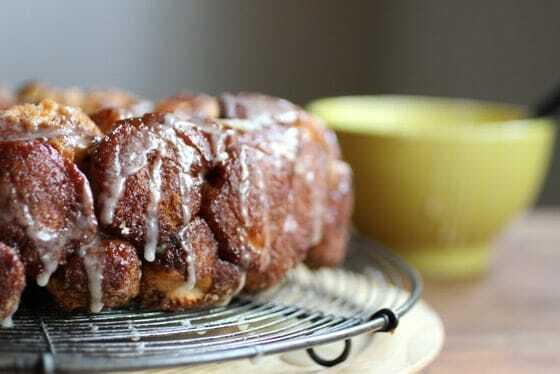 Monkey bread is on my bucket list as well, Paula. I am so happy you checked it off your list and gave us this beautiful creation. It turned out absolutely gorgeous. What a great idea to tackle it with the Sunday Supper club. I always mean to join and miserably fail at deadlines. Isn't monkey bread the best?! I've made my scratch version just last year and I was in love! Seeing your post makes me want to make it again! 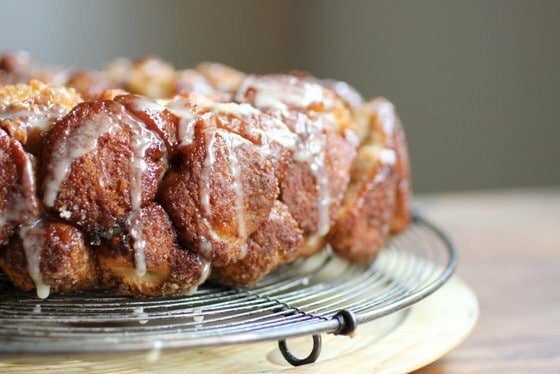 I love making monkey bread, both sweet and savory, and yours look like one I need to add to my bucket list! 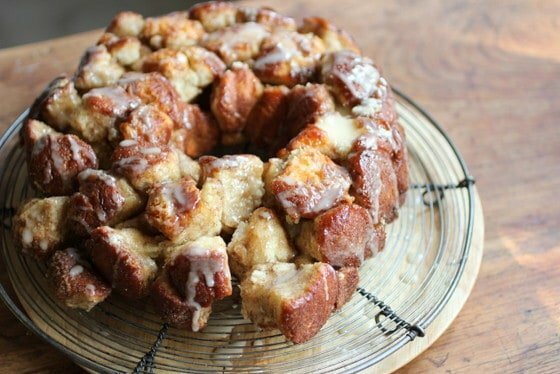 You are so right about every Monkey Bread photo looking delicious, including yours now! I comment you for washing those hands instead of just licking the butter and sugar off. 🙂 Just added this to my own bucket list! This is pretty awesome! I have always wanted to make monkey bread. I am totally making this!